Handy chinstrap lets you secure it on your head or wear it on your back when indoors. Grosgrain sweatband adds comfort and wicking. The lightweight palm material cleans easily, dries quickly and it floats! 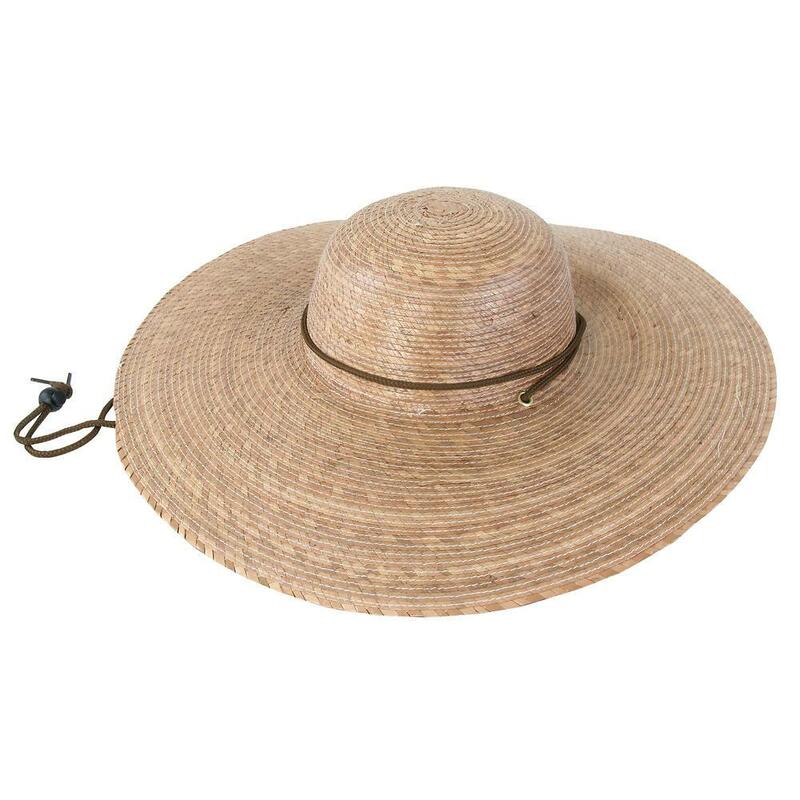 The Beach Hat fits a hat size of 7 measuring 22". Brim Length: 5 - 5.5"